In the territory of Zeri, there is a native breed of sheep called Zerasca. 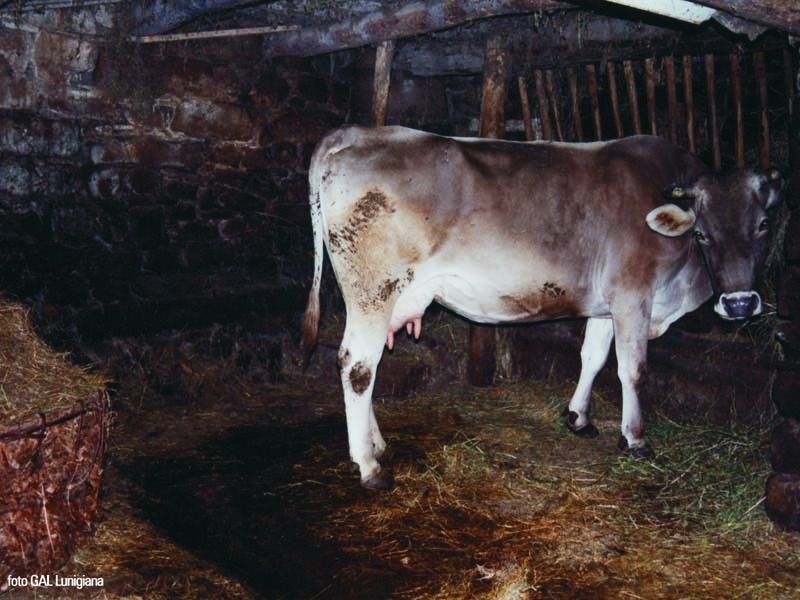 This breed has managed to prosper over time because of its isolation in Lunigiana. It is medium to large size, has well-developed horns and the coat is white. The milk is rich in nutrients with the protein content being higher than any other breed of sheep. However, in the Zeri breed, the sheep milk is used exclusively to breed lambs. The animals graze the fields year-round, weather permitting. The lamb meat can be extraordinarily tender and fragrant. The Massese lamb is processed and sold when it reaches a weight of 25-30 pounds. Its meat is leaner than that of any other breed. They are pasture-fed when weather conditions permit, or dry forage like local corn, bran and oats will be supplemented. During the summer months in the province of Massa, flocks are transferred to the Lunigiana mountains to graze. The production covers the whole year, but births are concentrated in the period between February and April and in September and October. The Red Reggiana is a native breed of Northern Italy. The red cows are called "Mothers" of Parmigiano Reggiano cheese. The milk is combined with strict production regulations and the cows are only fed green grass. There is a ban on techniques such as the use of GMO grains. These regulations give the Parmigiano Reggiano cheese a stronger flavor, a light yellow color, and other unique features.